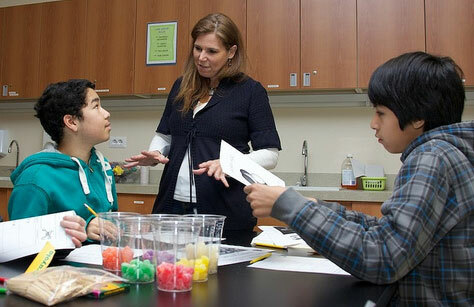 The Department of Defense Education Activity will participate in the 2014 Presidential Awards for Excellence in Mathematics and Science Teaching (PAEMST) for teachers. The National Science Foundation (NSF) administers the PAEMST Program for the White House to recognize and reward outstanding science and mathematics teachers.The 2014 PAEMST will honor mathematics and science (including computer science) teachers working in grades K-6. Anyone (e.g., principals, teachers, students, and the public) may nominate a teacher. Nominations close on April 1, 2014. Teacher applications must be completed by May 1, 2014.For applicant information and online nomination forms, please visit the NSF Web site.